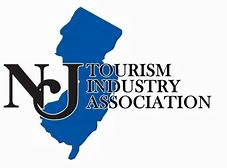 The New Jersey Tourism Industry Association will present this statewide honor recognizing the innovative partnership that was created with local craft breweries and non-alcohol related Southern Ocean Made stops. It also acknowledges the extent of the brand through the Surf centric Southern California LOYALE brew trail app which the trail is a part of. The award will be presented at the 2018 National Tourism Week Breakfast on Thursday May 10 in Trenton. To experience the trail just stop into one of the locations listed online or through the LOYALE app, check in digitally or with a printed brochure available at Southern Ocean County Chamber of Commerce. This is a unique way to promote local patronage, whole touring the area and learning about the salt water inspired way of life happening everyday in Southern Ocean County!